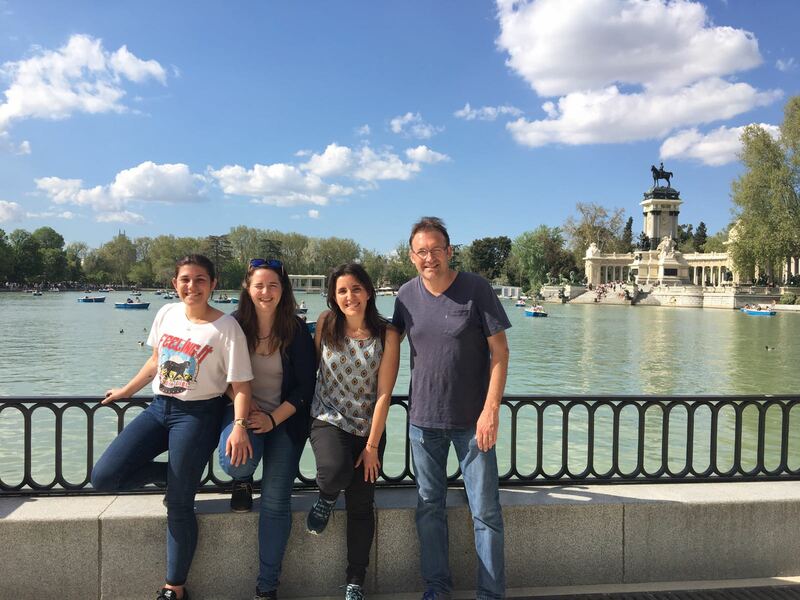 Last week part of the antiox-ecophys group attended the VIII Spring Forest Ecophysiology Meeting 2018 in Madrid (Coloquio de primavera sobre ecofisiología forestal). The meeting took place on 25-27 April in the breathtaking forests of Cercedilla (Madrid, Spain). 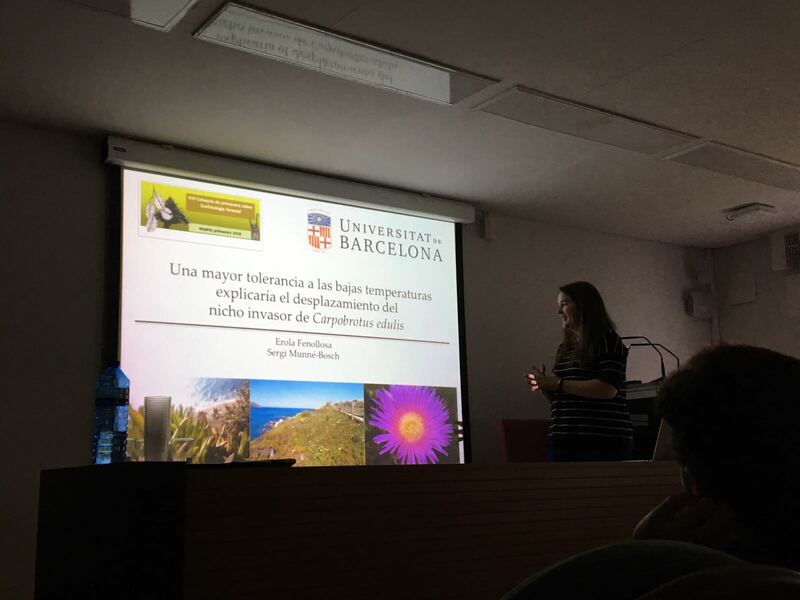 This event brings together plant ecophysiologists from Spain allowing them to share not only their latest findings but also their thoughts about some controversial issues around the ecology and physiology of the plant kingdom. 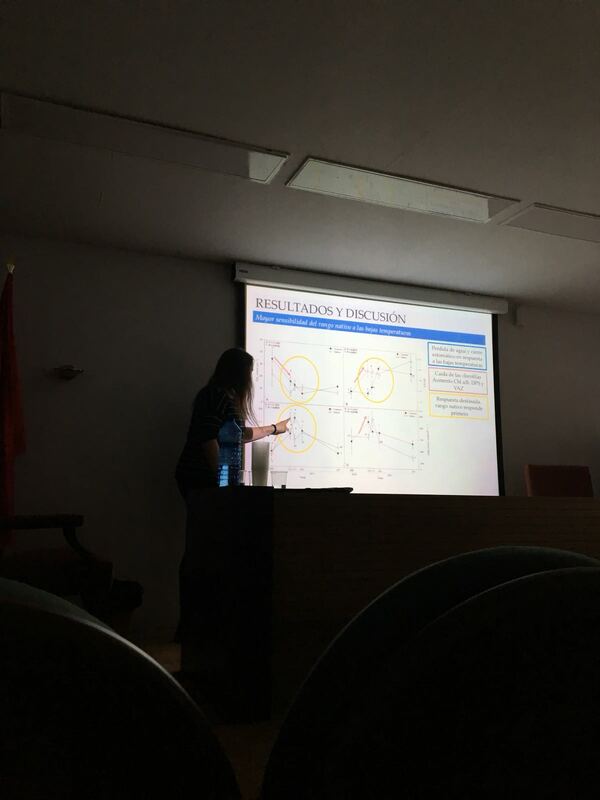 In this occasion, two of our PhD Students, Marina Pérez and Erola Fenollosa, presented their work during one of the sessions. Moreover, Sergi Munné-Bosch inspired and led a debate around plant longevity and senescence.